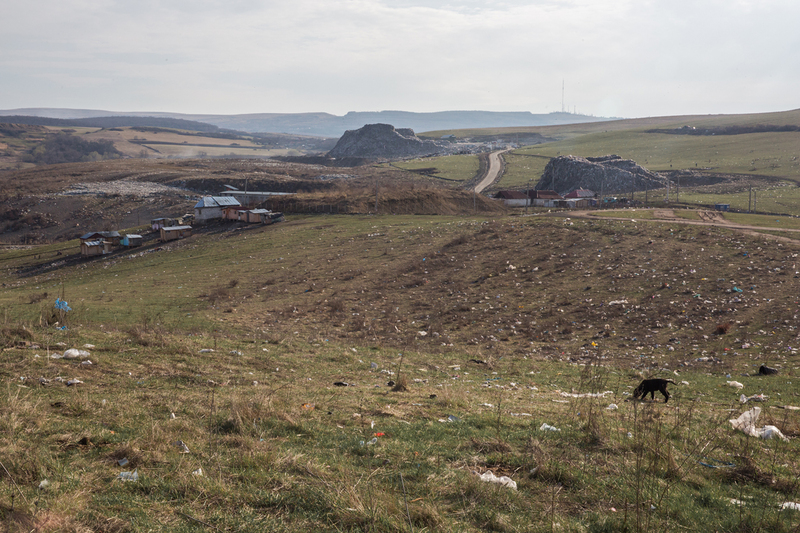 Environmental racism at work: the making of precarious living and working conditions on the Pata Rat landfill. 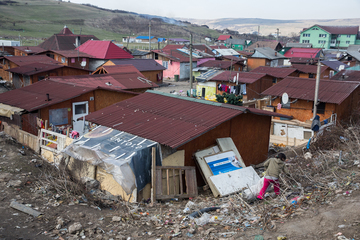 This is the largest waste-related ghetto in Europe located in Cluj Napoca, Romania. The conflict emerged most visibly with the eviction of tens of Roma families (350 people) from a street in a residential area of Cluj Napoca (str. 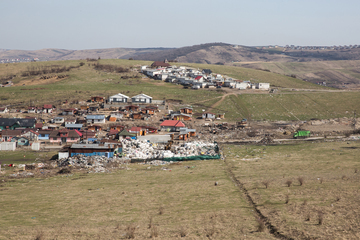 Coastei) and their relocation to an area in close proximity to the Pata Rat municipal waste dump (800 m) and even closer proximity to the chemical (pharmaceutical) waste dump (200 m). The relocation occurred in mid-December 2010 and triggered protests from civic and pro-Roma organizations based in Cluj Napoca. 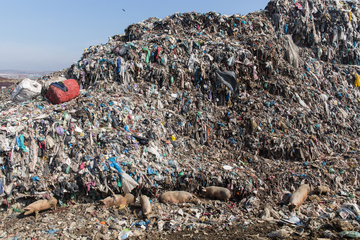 Although the claims put forward referred to racial discrimination and extreme segregation, this dramatic case brought to light the dire living and working conditions of 1500 residents living directly on or very close to the Pata Rat waste dumps. Human habitation of the waste dump goes back to the 1960s, but since 2000 the number of residents and the amounts of waste have expanded. There are four settlements in the area: Dallas, Garbage Dump, Cantonului street and new Pata Rat/Colina Verde, each with its distinct history of discrimination and environmental exposure. This is considered the largest waste-related ghetto in Europe (Dohotariu 2016). One part of the residents work in the selective waste collection while others work in other sectors. 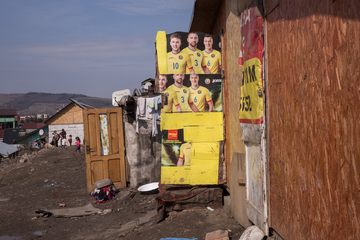 The environmental justice case is inextricably tied to racial and citizen rights issues and the problem has been explicitly defined as a form of “environmental racism [that] dehumanizes poor Roma and pollutes the milieu where they are forced to live” (Vincze, 2013, p. 389). Since 2012, the Cluj municipality has been working to expand the landfill from Pata Rat by building a new dump, with EU funds, which has not been completed until 2017. This happened, apparently without acknowledging the ongoing environmental impacts on the local segregated population. Evironmental impacts due to social injustice will likely continue to accumulate with no equitable resolution in sight. 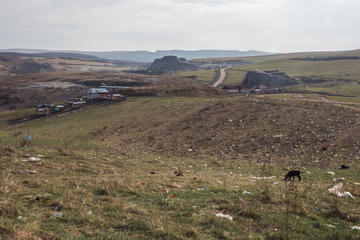 Project Details The Cluj Napoca municipality forcibly relocated 350 people, most identified as Roma, in December 2010 from a street in a residential area of Cluj Napoca to the city’s municipal waste dump and a nearby chemical waste dump. 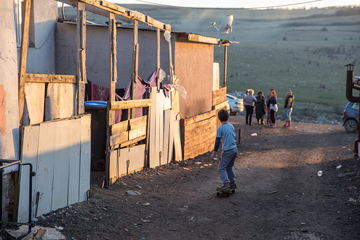 However, this environmental justice case involves much more than this forced relocation “project”, as the inhabitants have been subject to long-term discrimination. The project "Integrated waste management system in Cluj County" has a total eligible budget of EUR 52 899 193, with the EU's European Regional Development Fund contributing EUR 38 773 186 for the 2007 to 2013 programming period. Relevant government actors Cluj Napoca municipality, Cluj Local Council, Cluj Prefecture. Why? Explain briefly. There are no apparent plans or intentions to relocate the Roma from Pata Rat to offer them acceptable living and working conditions. Studia Sociologia - see no. 2/2013 for download link. Pata-Cluj, a social intervention project using an integrated approach to social inclusion. Contributor Filip Alexandrescu (Ca' Foscari University of Venice, Italy and Research Institute for the Quality of Life, Romania), [email protected], with contributons from Ionut Anghel, Cristina Rat and Simona Stanescu.